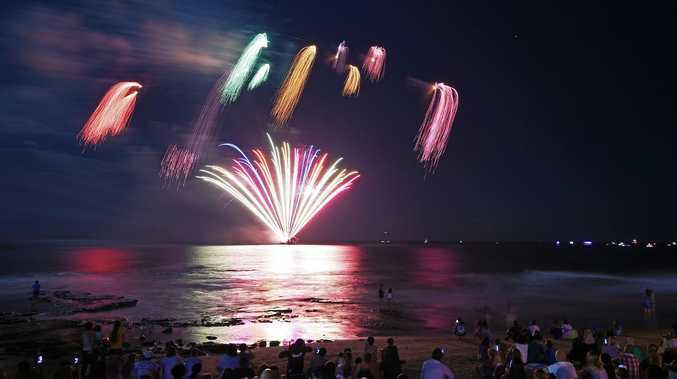 POLICE were impressed with the behaviour of punters celebrating New Year's Eve at events around the Coast, which boasted record numbers despite the rain. Once the thunderstorm passed, locals and visitors hit the streets in droves with arrests rising to meet the increased traffic. Sunshine Coast District Senior Sergeant Michael Rowlands said between 25,000-30,000 people turned out in Mooloolaba, 10,000 at Caloundra, 5000 at Coolum and 15,000 at Noosa. "Because of the increase of crowds of course their was a slight increase in arrests, proportionate to the number of people that attended," he said. How did you spend New Year's Eve? This poll ended on 09 January 2018. I went out and joined the crowds in celebrations. I spent it with friends and family. "As always with New Year's Eve we have special operations at all the major points like Coolum, Noosa, Mooloolaba and Caloundra so there is additional officers on duty for that, plus our normal operational requirements for each of the divisions." Officers are still out in force to nab drunk and drug drivers with about 150 to 200 tests being carried out over the weekend, according to Snr Sgt Rowlands. "...Traffic was generally pretty well behaved," he said. "We've had a couple of RBT sites this morning to pick up those people that drive after they've been drinking all night." As for the rest of the holiday period, Snr Sgt Rowlands told drivers to "remember the fatal five and don't drink and drive". "At one stage we thought we were getting the message across, but it seems to be that a lot of people are just not heeding the message about drinking and driving," he said. "After celebrations people tend to get a bit tired, so don't drive tired or distracted." On Saturday night a 29-year-old woman was arrested when she recorded a blood alcohol level of 0.224 during a RBT stop at Alexandra Headland. She had the highest reading of 59 Queensland drivers who were over the limit that day. 453 drivers have been booked for being over the limit since December 23.